Perfect for dispensing IV admixtures that contain light-sensitive drugs. 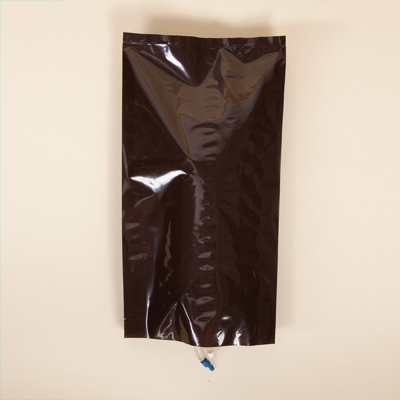 This is our darkest IV bag cover that can protect light sensitive drugs by blocking 95% of UV light. Available in a choice of two sizes this cover can be used on both IV bottles and bags. The IV bag cover comes in quantities of 100. If you would like to see the product before ordering, please contact us to request a free sample.